Windows 7 Professional makes it possible to work from anywhere?quickly set up projectors, printers, and networks. And automatic backups ensure your work is safe and secure wherever you are. 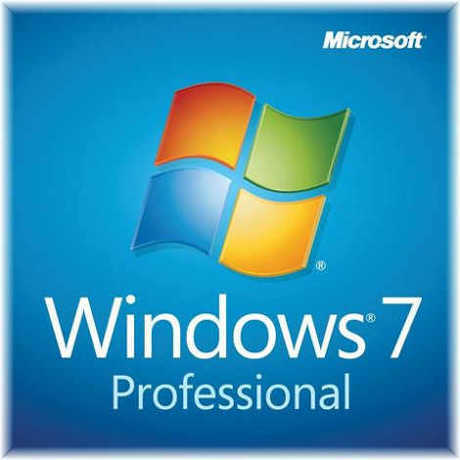 Install Microsoft Windows 7 Professional 32-bit with Service Pack 1 via DVD from My Choice Software. The activation license for this operating system is included in the package. Windows 7 debuted in 2009 and is the system that followed Windows Vista. Vista received many complaints from users and Windows 7 was conceived, in part, to correct those mistakes. Earning favorable reviews from users and critics alike, this operating system brought new and refined features to the landscape and this operating system has a modern design style over its predecessors. These new design features included a new look taskbar and the Snap window management system. Windows 7 also introduced Internet Explorer 8 and Windows Media Player 12 to the market. The professional version of this operating system includes networking and security features for use by larger businesses including an encrypting file system and the ability for users to join a workgroup known as Windows Domain. Use XP Mode: Run many existing productivity and business programs designed for Windows XP additional necessary software is available for download, free-of-charge from Microsoft. Help prevent theft or loss of data: Use BitLocker and BitLocker To Go to better protect your valuable files even on removable drives such as USB devices. Automatically back up your files: Protect your data from user error, hardware failure, and other problems. You can back up your files to an external hard drive, secondary hard drive, writable CD or DVD, or to a network location.